In 2014, we were hit with two episodes of failure of the blowing plant, which had been installed by Watkins & Watson in 1927. Overall, the repairs, carried out by the original manufacturers, cost something in the region of £4000, which was an unexpected outlay! There are two linked blowers, situated in the chamber below the Choir Vestry; wind is conveyed through an enormous trunk, running through the vestries, into the organ above. 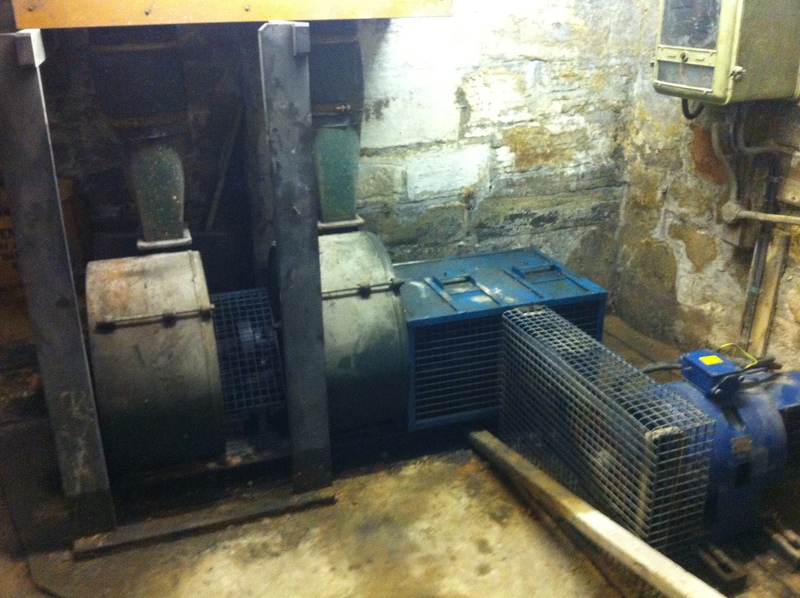 The twin Watkins & Watson blowers, deep in the bowels of the Earth!